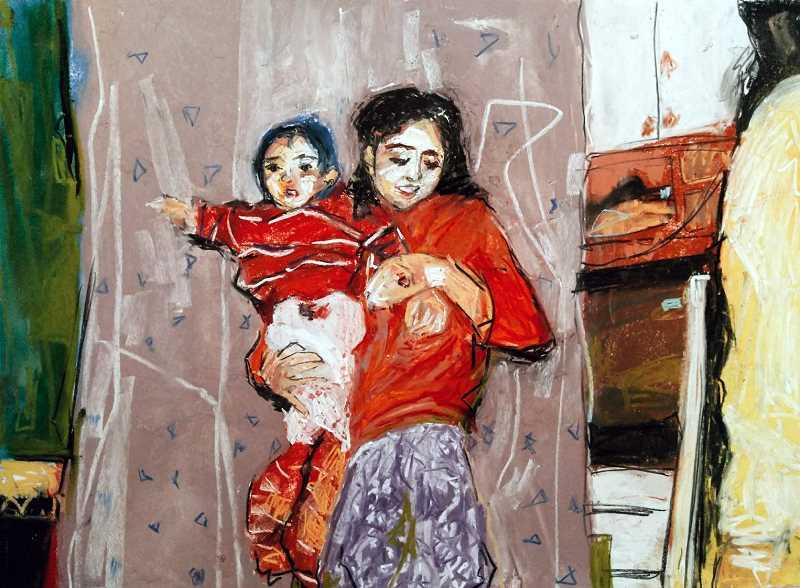 As part of the Lake Oswego Reads program, the Arts Council of Lake Oswego will present "HERE Now: Art Inspired by the Immigrant Experience" from Feb. 15 through April 5. The exhibit highlights nine artists who are local, regional and from as far away as Massachusetts, Pennsylvania and Florida. Their work engages the deeper meanings of transcultural migration to the United States, and the exhibit provides an opportunity for a diverse and accessible conversation on U.S. immigration through the artistic lens of those who have immigrated and now call the U.S. home. "At ACLO, we have the exciting opportunity to engage viewers in multiple points of view through meaningful artwork that can aid in examining and understanding social issues," said Stephanie Johnson, ACLO's program and public art manager. "That's exactly what we hope to achieve with this exhibition." The show opens with a reception from 5-7 p.m. on Feb. 15 at the ACLO offices and gallery, 510 First St. in Lake Oswego. The artists will be in attendance to discuss their processes. Exhibiting artists include Marjan Anvari, Olando Lin, Chau Nguyen, Nilou Moochhala, Diego Morales-Portillo, Virginia Praschnik, Otis Kwame Kye Quaicoe, Jaleh Sadravi and Miggie Wong. Gallery hours are Tuesday through Friday, 11 a.m.-4 p.m. For more information, visit artscouncillo.org or call 503-675-3738.